Nothing tops off a hot Summer day quite like ice cream. 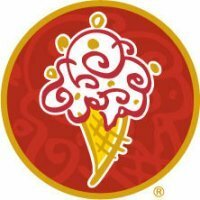 We've partnered with Cold Stone Creamery® to share sweet, kid-friendly upgrades to your favorite cooling treats that will make any mom a hero. Summer days with kids mean lots of outdoor time, running, playing, and big appetites for treats. Before you start feeling the pressure, remember that snack breaks are even more memorable when you put your own spin on sure-thing favorites, like ice cream. So this season, cool everyone down with delicious frosty creations, and try these homemade tweaks for even more fun in the sun. Consider these recipes your guide, and prepare for squeals and melty ice cream grins. 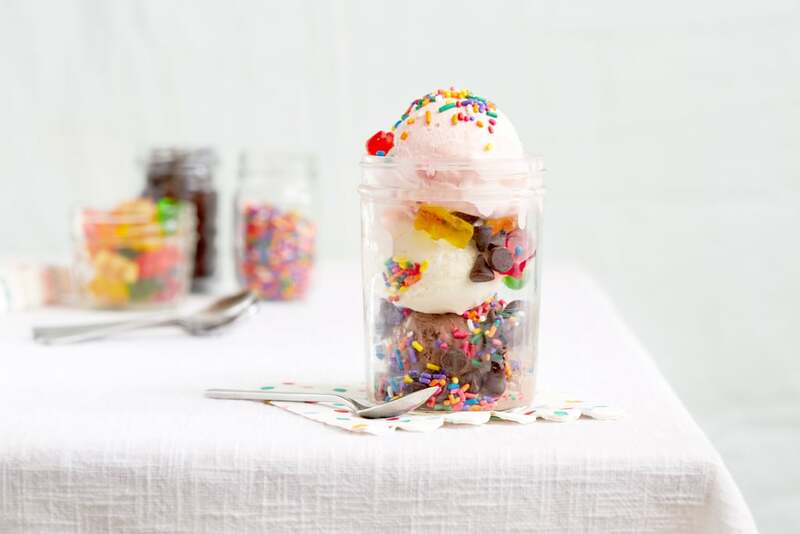 When a plain scoop of ice cream just won't do, try this crowd-pleasing adaptation. Start with a layer of Cold Stone Creamery Cake Batter™ ice cream, plus a favorite mix-in (we recommend gummy bears). Then add Strawberry ice cream and another mix-in (raspberries or blueberries, anyone?). Finally, add Sweet Cream ice cream and whipped cream on top, plus a sprinkle of candy (chocolate chips or M&M's). 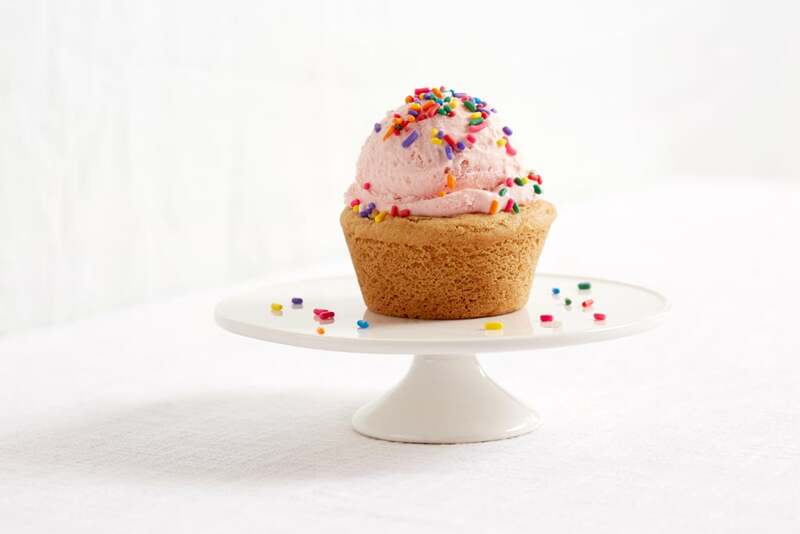 It's like a triple-layer cake with a fruit center and sweet-cream frosting: a party in a cup! Tasty mix-ins make each bite a treat as kids work their way down through the yummy layers. Your kid wants ice cream and cookies? No problem! Prepare your favorite cookie batter and separate it into two portions. Roll the first portion flat and cut it into 12 small circles that are slightly larger than the bottom circles on a cupcake pan (when the pan is upside down). Take the second portion and roll it into 12 small balls. Place one ball on each of the upside-down cupcake holders, and cover each one with a flat circle of dough to create a cup shape. Then just bake as usual and let the cookie cups cool before you remove them from the pan. Here comes the real fun: add one perfect scoop of your favorite Cold Stone Creamery flavor and top it with your favorite mix-in! It's the perfect sweet, handheld snack any kid will love. Warning: once you make this delicious dessert you should be prepared for regular requests. 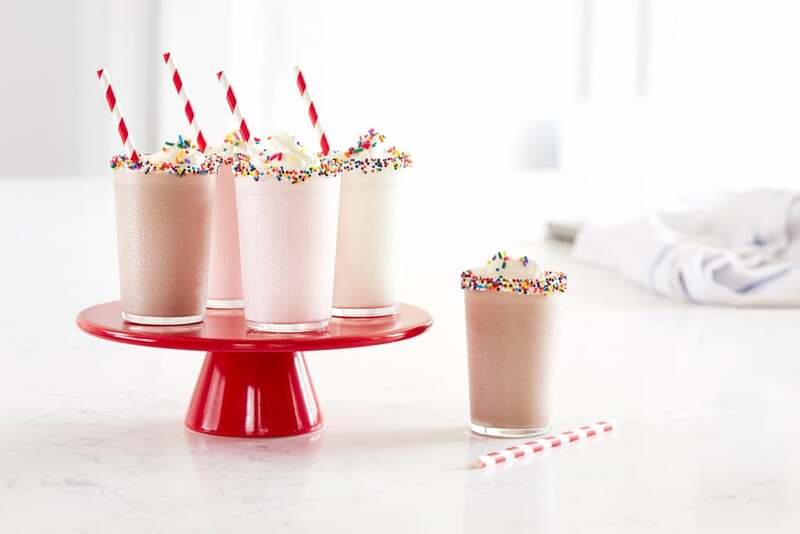 You know the routine: Your kid can't decide if they want a chocolate or strawberry shake. They throw a tantrum after picking the "wrong" one (as if any ice cream can be "wrong"), and you need to make them another one. Do we have the solution for you! Divide your favorite Cold Stone Creamery milkshake flavors into pretty mini cups so your kids can have small tastes of all their favorite cool treats. Use clear cups and divide the milkshake into three portions, adding a swirl of whipped cream plus your kids’ favorite mix-in toppings. For the final touch, cut a striped straw in half to make a pretty mini straw for each shake. Fussy children? Never heard of 'em. Craving something sweet? Find the perfect Cold Stone cake for any occasion and don't forget to show us your #coldstonestyle by using the hashtag on Instagram.